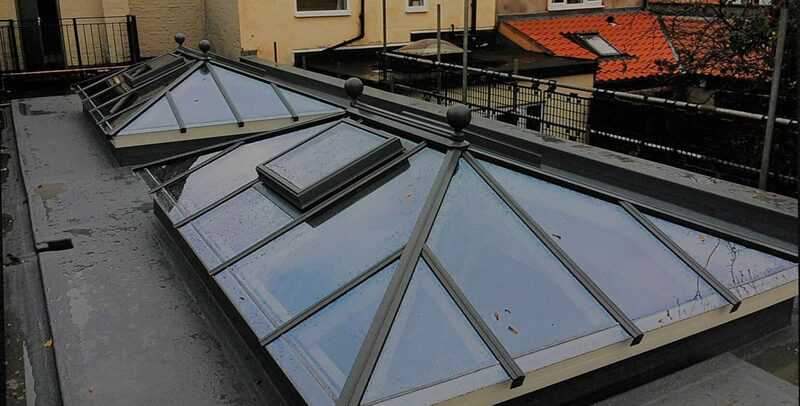 Skylights follow the principle of roof lanterns, however, skylights as a product are very different to roof lanterns. Skylights can be very small (as little as 250 x 250) whereas roof lanterns generally start at 750 x 750. Skylights allow light to enter a property either through a flat roof, pitched roof or as a part of the properties roof structure. Prestige Roof Lanterns can manufacture and supply skylights (sometimes referred to as roof lights). Our skylights are manufactured from either timber or oak hardwood and can be styled to fit your properties profile. We can also source skylights from various manufacturers (depending on lead time / prices / product customisation). Typical product sizes include 40cm x 40cm, 45cm x 73cm, 46cm x 55cm, 48cm x 90cm and more. Our expert designers will take into account it’s placement and intended use on your property to provide recommendation. For example, a skylight would not be practical on a part of the roof that is exposed to the least amount of light as it would defeat the principle. Our timber and oak skylights can be made to almost any size and style, however, we generally do not manufacture skylights smaller than 500 x 500. We do not stock skylights, instead, they are made on request. We make each skylight to an exact size / specification. These are requested by us if you choose to go ahead. Our designers will create a mockup CAD drawing which will reflect the product in 3D along with dimensions (L X H X W). Prestige manufactures skylights in various styles from bespoke to curved or domed. The glass panel arrangement can be configured to a pitch (Depending on the shape of the skylight). A popular shape choice for this product is circular and domed. As they are more compact then roof lanterns, they are ideal for smaller roof areas where the structure is flat. 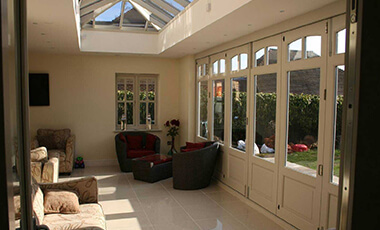 The skylights can be coloured or given a wood stain using farrow and ball paints. You can also customise the glass and glazing options from single to triple glaze. Each unit comes as an argon filled unit. Simply choose your size, style (shape and colour / stain), provide size specifications and features and we’ll do the rest. 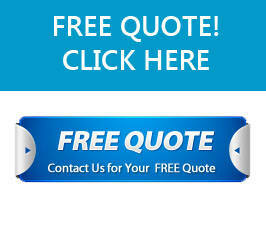 Our quotes are FREE, simply fill out our call back request form or call the number above to speak to a member of the team. Our skylights are manufactured using premium quality materials using the latest in automated CNC machining and manual craftsmenship.